You Save: $2.04 (10%) Ships in 1 day. Spiral Bound, 48 pages, 8.5 x 11. 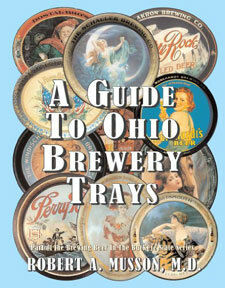 The state of Ohio has seen more than 500 breweries in operation over its two centuries of existence. The larger ones advertised their beers to the general public in a variety of ways, such as newspaper ads, point-of-sale signs, and also with ornate serving trays used in saloons. 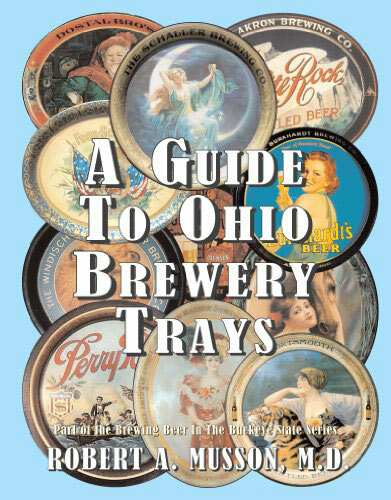 This book displays 166 of these trays (in full color) that were made between the 1890s and the 1990s, coming from breweries all over the state, but mostly from cities such as Cincinnati, Cleveland, Akron, Toledo, Columbus, and Dayton. The trays are highly prized items among collectors today, and many have beautiful, colorful scenes of women, flowers, or of the brewery buildings themselves. While the majority of the trays were made between 1900 and the onset of statewide Prohibition in 1919, they continued to be made after Repeal in 1933, although the later designs tended toward much simpler graphics. Step back in time to see how beer was served in saloons many years ago!